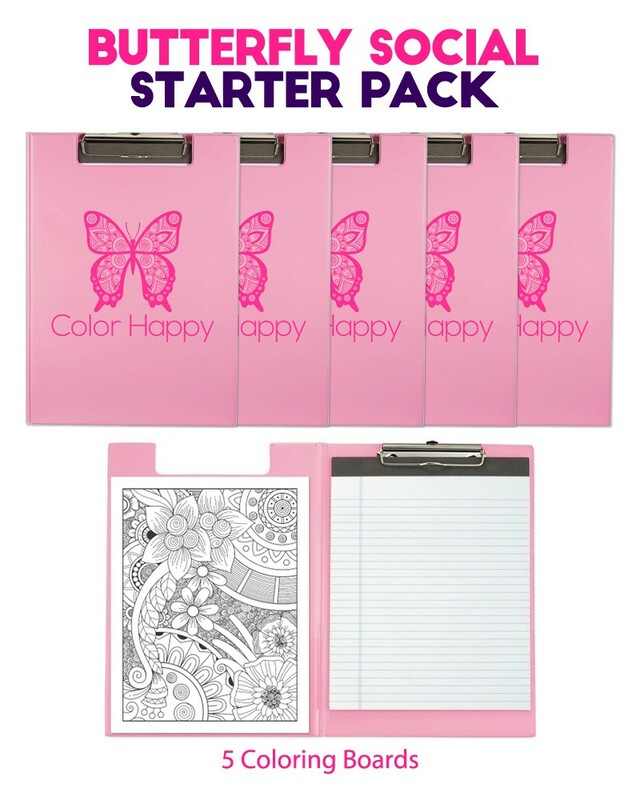 5-pack Color Happy Branded Coloring Boards! This high quality clipboard set is perfect for holding – and storing – your WIP (work in progress). Sturdy, with an interior pocket. Perfect for travel, AND for protecting your tabletops at home. 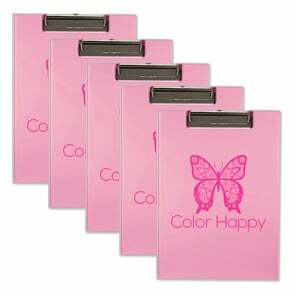 Perfect for those wanting to do your own Coloring Dates/Butterfly Socials with your friends at home!